One of the really great things about getting to design a product line is the ability to have things made that you find yourself wishing for when you create. 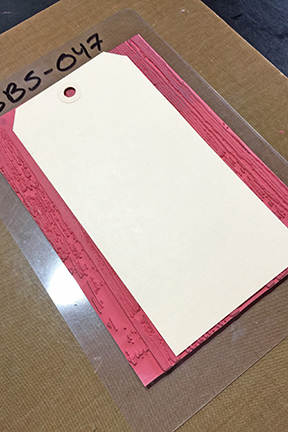 I enjoy making mixed media art tags on #8 size manila tags. I believe an interesting background is the foundation for a great tag (or card) design. My go to tools for backgrounds on my tags are stamps and embossing folders. Many times over the years I found myself wishing for larger stamps for my tags that would cover the whole tag. Many background stamps are sized for card fronts. But what if you want something slightly larger? I am so excited that my wish came true! 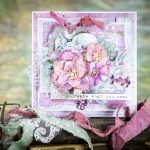 All of my mixed media background stamps (Big Cheesecloth, Big Fabric, Big Woodgrain – shown above, and Dear Ruby) are all 6 3/4 x 4 1/2″. 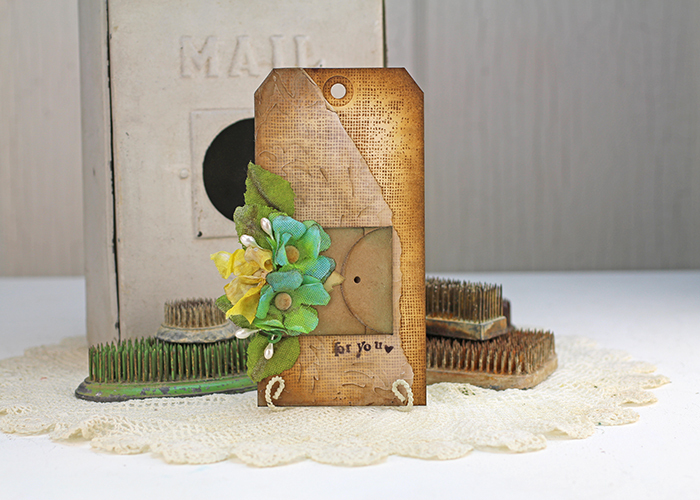 The larger size allows you to stamp an entire #8 tag, larger sized cards, and also other projects like journal pages! I didn’t want to leave out embossing folders from the big plan either! 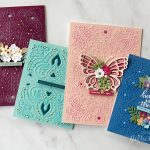 All four of my embossing folders are 5 x 7″! 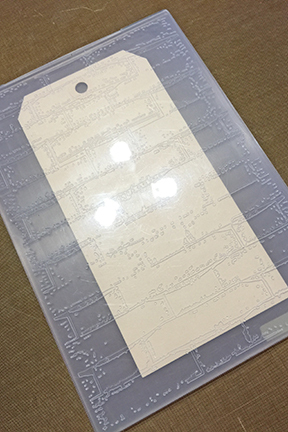 You can place an entire tag inside without any of it stick out! Think of the possibilities there, larger embossed background pieces for journal pages, home decor, and larger cards! Shown above is my SEL-005 Picnic Folder. I love the size of the folders, but I love the thickness of them even more. Thicker folders mean deeper impressions. (Remember, to account for the extra thickness, you only need ONE cutting pad in your stack.) The even come with a slit in the hinge already to account for something larger you may want to put in the folder. I hope you will try them all for yourself and find out just how much bigger is better! 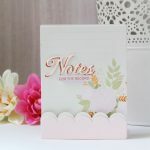 Would you like to see how I used my big backgrounds and embossing folders in the project shown above? Check out the full step-by-step tutorial here.